The ultimate standard in coins is the proof—a gleaming coin with details so sharp and luster so dazzling that one instantly recognizes it as the pinnacle of minting perfection. Proof coins are exceptional. The mint prepares special, highly polished planchets, engraves detailed dies and strikes each coin two or more times to bring out all the exquisite design details and the coin's frosted and mirrored surfaces. The coins are then inspected individually, with mint employees rejecting any coins with flaws. After packaging to protect the coins, the coins leave the mint and into the hands of collectors. Proof Sets are the only way to get yearly coins in each denomination with unparalleled craftsmanship. Each year, Americans scramble to get their share of the limited edition Proof Sets. Now we’re making the 2016 sets available to you! 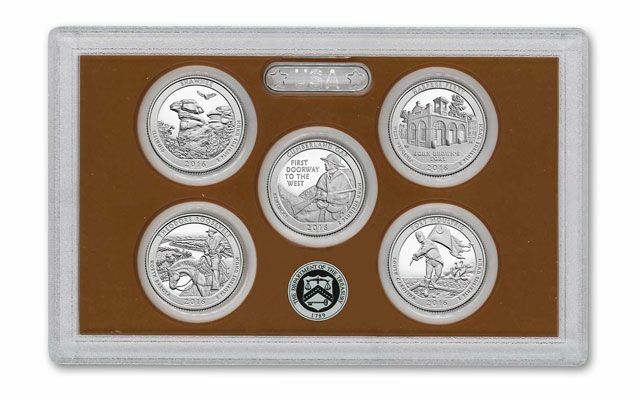 The 13-piece 2016 U.S. proof set features America the Beautiful designs for Shawnee National Forest in Illinois, Cumberland Gap National Historic Park in Kentucky, Harpers Ferry National Historical Park in West Virginia, Theodore Roosevelt National Park in North Dakota, and Fort Moultrie at Fort Sumter National Monument in South Carolina. In addition, presidential dollars: Nixon, Ford, and Reagan. Also included are the Lincoln Cent, Jefferson Nickel, Roosevelt Dime, Kennedy Half-Dollar and Native American Dollar – all dated 2016. 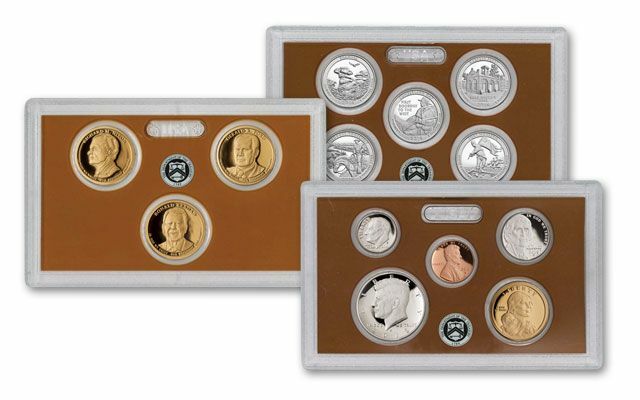 Each set will is housed in official U.S. Mint packaging and include an official COA from the U.S. Mint. NEW RELEASE: This is the first release of 2016 U.S. Proof Sets. ONE YEAR ONLY ISSUE: Production of this set will cease at the end of 2016 and never to be struck again. Get them while they are available now. TOTAL COINS: This set features 13 total proof coins! i. Richard M. Nixon: This coin honors the 37th President of the United States, Richard M. Nixon, with a portrait of him on the obverse. The reverse of all of the Presidential $1 Coins contains an image of the Statue of Liberty, as designed by Don Everhart. ii. 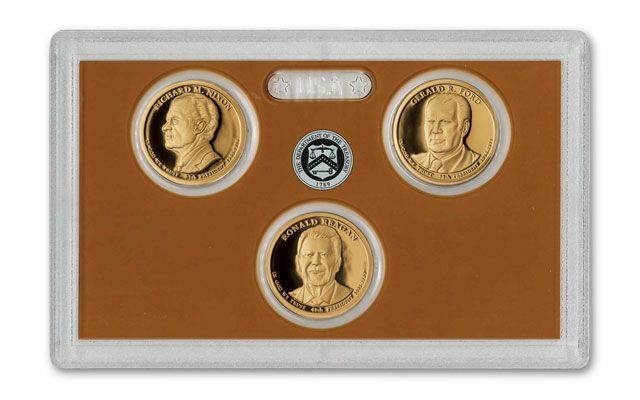 Gerald Ford: Gerald Ford, the 38th President of the United States, will be featured on the obverse of this coin. It will be joined on the reverse by Everhart’s Statue of Liberty design. iii. Ronald Reagan: Ronald Reagan coin honors the 40th President with a portrait of him on the obverse. The reverse will contain the standard Statue of Liberty design by Don Everhart. PROOF: Each coin is struck in mirrored Proof quality. Proof blanks are specially treated, polished, and cleaned to ensure high quality strikes. The blanks are then fed into presses fitted with specially polished dies and struck at least twice to ensure sharp relief. 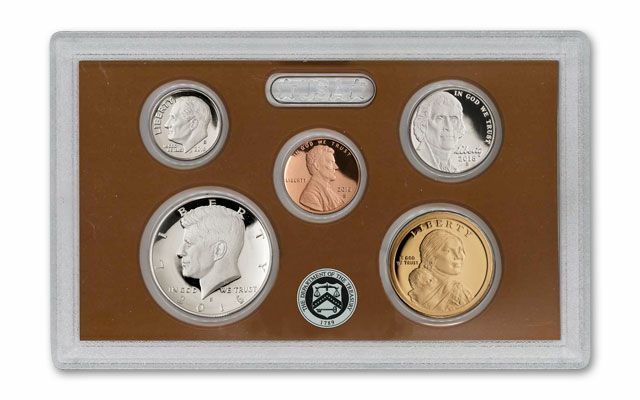 PACKAGING: Each set will come housed in original U.S. Mint packaging which allows the owner to view the obverse, reverse and edge inscriptions. It will also be accompanied by a certificate of authenticity from the U.S. Mint.